Two different friends of ours on Twitter, @simonkuo and @britt_w, shared a link that I had not had time to look at until today. Once I did, I was amazed. 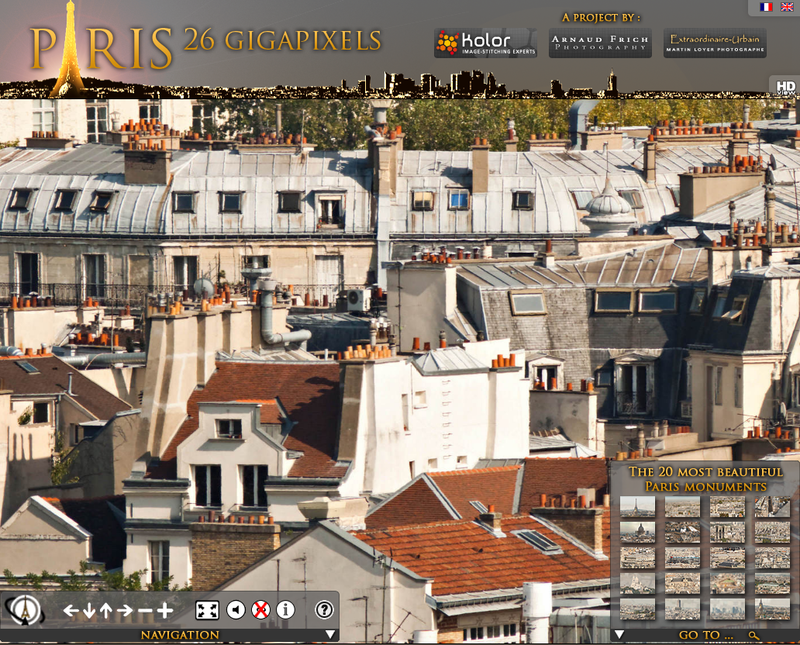 Experience Paris… the whole city, like never before. I have long had a fascination with what lies across the sea. Though I’ve not been to Europe yet, I have often imagined myself there for reasons unknown even to me. The idea of many places there just call to me, but this panoramic view of Paris offers lessons beyond appeasing a girl’s fancies. Immersion into an environment like this IS the ultimate experience, and it’s far better than Second Life or a virtual reality. 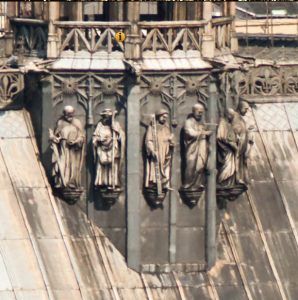 Zoom in closely, and you can see people eating on a terrace, or the Saints on the top of the Sainte Chappelle, something you could not see as closely if you were there in person. This wonderful site is not the only place you can feel as if you’re standing in front of a place you’ve never been. Google Maps latest “street view” feature for many places is totally amazing. To revisit a place you lived as a child, explore the home of a friend you’ve met online, study a city you’re moving to before you arrive… it’s all possible now for a lot of major places by just putting in the address and zooming around the nearby streets. Don’t just paint a picture in words of what you can do for people… find a way to have them experience it. Our friend Kamran @swagclub sends unforgettable goodie boxes to people sometimes (we loved our gifts!! ), knowing that’s the best way for people to get what receiving customized promotional merchandise can feel like when it’s a good fit for the audience. I’d love to hear how you make things tangible for people in the comments. I will be thinking about this for our products and services too, as digital goods are often just experienced via samples online. An interesting challenge, to be sure!